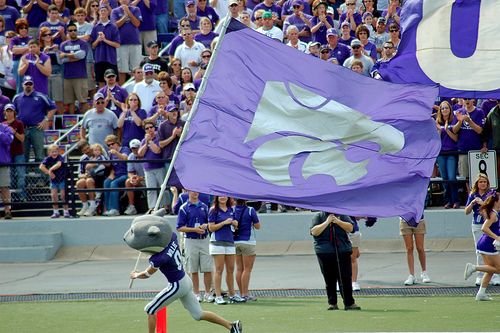 The Kansas State Wildcats enjoyed somewhat of resurgence last year. They even almost went to the Big 12 Championship Game. Yet, they failed to make a bowl. The offseason was the most quiet I’ve ever heard and now we find ourselves looking straight down the barrel of a new football season. The weirdness of last year’s season should continue for this year. 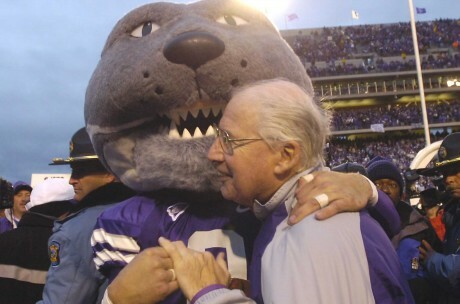 It’s all good for Bill Snyder 2.0, as they will be getting better. Day by day. Little by little. We’re gearing up for a road trip this week. If you are down in the Austin, Texas area for SXSW for the next 2 weeks, be sure to drop us a line. The contrast between the home of the Texas Longhorns and the leader Big 12 South versus Kansas City and the epicenter of the Big 12 North should give us plenty of fodder to chew on for the next couple of weeks. We’re taking no breaks, however, and this week’s Mascot Monday also gives us a good contrast between a good mascot and a bad one. Now, we’ve seen some non-plussed mascots before but we think YoUDee from the University of Delaware takes the cake. So come with us on the journey to find out about this blue hen.